Growing up in Australia there was no such thing as a truffle. Certainly I don't think I knew anything about them until I was well into my twenties. In fact, I recall as a kid being so ignorant about certain things that at a brasserie in Paris I ordered a steak tartare thinking it was steak lavishly covered in my most favourite thing - mayonnaise - even better still, mayonnaise in its form as tartare mayonnaise.... It seemed dreamy to me. I could not wait for chips and a medium cooked steak and I was going to ask for extra tartare mayonnaise if they didn't bring me a good enough serve. I believe I was ten years old. I believe I also cried when the waiter brought me out of chunk of raw meat. These days I would gladly slap my former self silly and and say 'wake up your mincer, that's delicious, years later you will salivate just at the very mention of it' , but that was then and this is now. I cried. I cried so much I think I caused a scene at the restaurant, which is probably some of the reason my father didn't like me too much back then. Ah mayonnaise. Even to this day we still are in the midst of a love affair that never seems to grow old or dull. And recently at a restaurant in Sydney called Charlie Parkers I noticed that the steak tartare was served with a crisp baked bread and mayonnaise. So there we were figuring out what to eat on the menu and I usually just follow any line that says 'tartufo' and say yes and somehow we all ordered the same starter and we really did hit the nail on the head. What was presented on the plate looked to me like cabaret dancers on stage at Radio City Hall about to start flapping feathers and parading themselves around only these little suckers were going to have a party in my mouth. And they did. 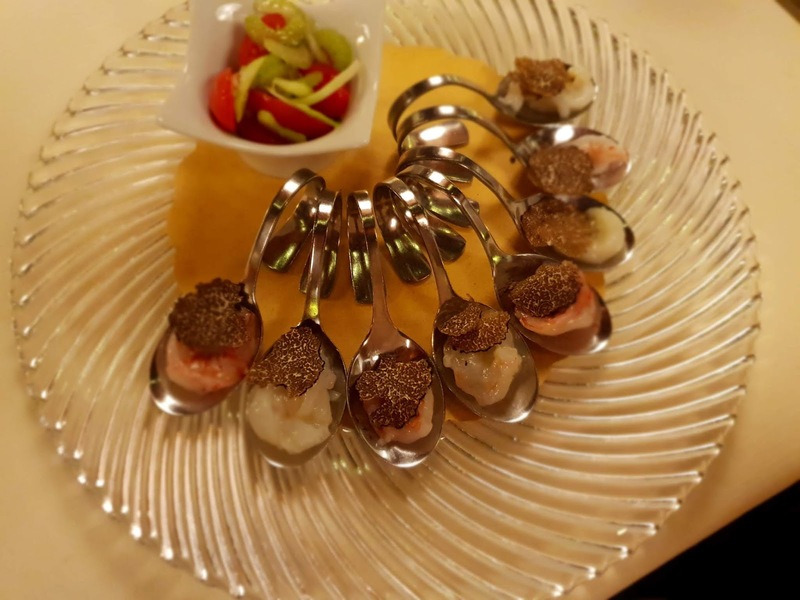 The softness of the prawn crudo was met with a sort of dry counter balance of the truffle that was so enjoyable that for the first time in the longest time I could recall, I stopped to savour the taste. It alarmed one of my fellow diners who only knew me to eat like a small hand-held vacuum. And if you aren't sure whether I am telling the truth, go see for yourself.